Then, just days after Reeve had his tragic accident, he was lying in a hospital bed, surrounded by dark thoughts when a mad Russian doctor charged in to his room, wearing a gown and scrub hat, ranting about having to give Reeve a rectal exam. 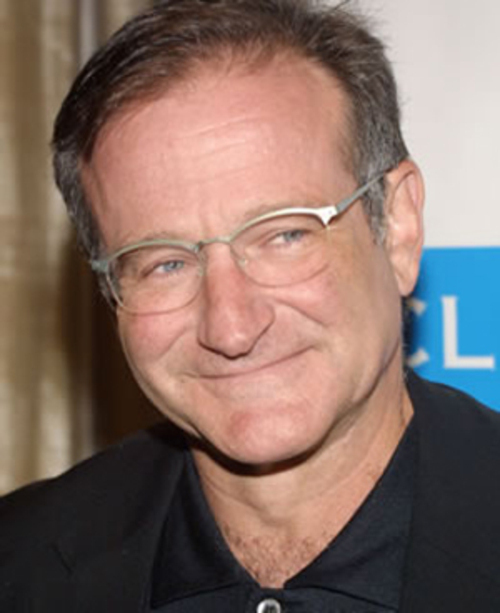 Of course, it was Robin Williams doing what he did best. Making someone smile when their circumstances made that seem impossible. From that moment on, Reeve knew that he would be OK.
What a wonderful gift Williams gave the world, the ability to make people smile and feel OK. I wish that I could have done that for him, to ease his burden and give him a reason to keep going. I hope that I can do this for my own friends who are struggling with their own dark thoughts. Perhaps not in the manic, one-of-a-kind way that Williams could, but in my own style. Use your unique gifts to make their pain easier to bear. Give them a reason to smile, be a listening ear, help them to access professional help, do something practical, do anything!